Here's a unique way to express your respect and appreciation for someone special. 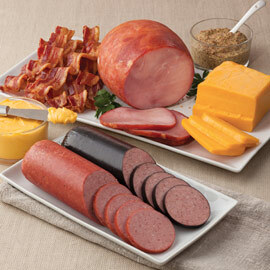 This family-sized collection features some of our best smoked meats. 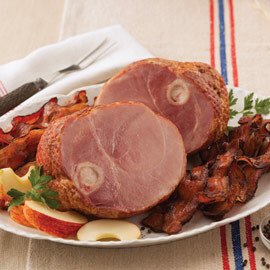 The Li'l Bone-In Ham is a tasty addition that serves five, and the four varieties of bacon will have your recipients smiling bite after bite! We ordered gifts from Amana for Christmas gifts. The recipients told us how yummy everything was so I ordered some for myself! Customer service is super helpful and nice. 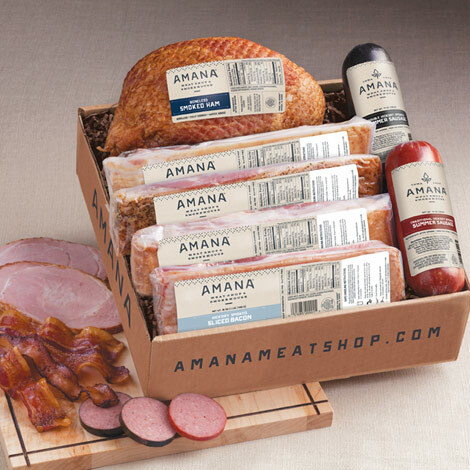 Have been ordering from Amana for along time. As usual, this order was wonderful. 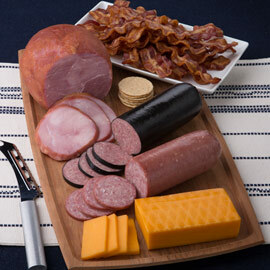 The ham was large, all the bacon is really tasty and the beef log cannot be beat! You have a loyal customer here. Love the prompt delivery too! I have given this as a gift for several years now and only get rave reviews. The ham is EXCELLENT! Everything was very tasty. I like a real smokehouse flavor. Great service and outstanding product, thank you!! We have ordered gift packages for several years, as Christmas gifts. The process is always easy, deliveries are always reliable & on time & food is always delicious! 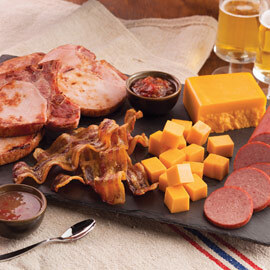 For help and tips on how to prepare out Li'l Bone in Ham, see our Cooking & Serving Instructions.. Bacon can be cooked by your preferred method, and our summer sausages are ready slice and eat!